We heard the news on August 17, 2013: A fire had been spotted near the Rim of the World Vista just outside of Yosemite National Park on the edge of the Tuolumne River canyon. 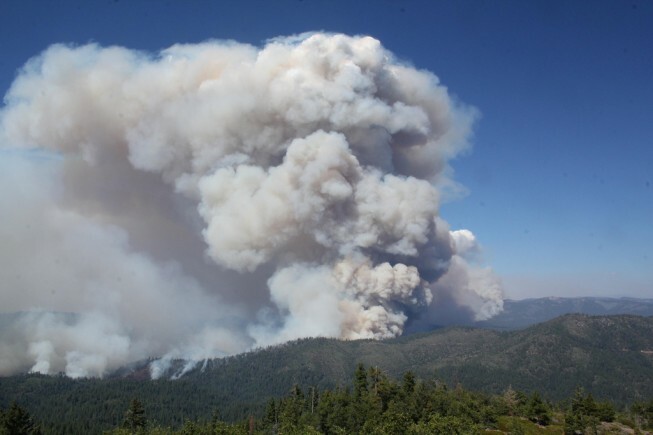 Within days, the Rim Fire had doubled, then tripled in size. The calls and emails came in from all over –folks wondering how bad it was, inquiring when they might be able to raft again, curious to hear our thoughts on the fire. At the core of every conversation, the underlying question was the same: had the river canyon been ruined? Since the canyon was closed to recreation almost immediately after the fire began, we had no idea what it might be like down there at river level. The only photos we saw were from the air; in all of those photos, the smoke was too thick to see down to the water. We could only imagine the damage. With our beloved beaches left alone in the flames, our minds filled in what the photos left out. I began to have my own doubts about the resilience of this canyon. To give you an idea of what this fire was like, imagine a blaze more than twice the size of Lake Tahoe roaring and moving, like a living being, up steep hillsides filled with tinder-dry fuel. The light of the fire was so intense, people from miles away claim they could see the glow at night. The heat from the fire was hot enough to melt car tires to the pavement. Even from our office in Angels Camp, some 45-plus miles away, the smoke was thick enough to taste. Over 400 square miles burned, making this fire the third largest wildfire in California’s recorded history. Now, if you can’t imagine Tuolumne River rafting before the Rim Fire, fill your mind with this: quiet mornings with nothing but birdsong and sunlight creeping down the canyon walls. That unmistakable low rumble of a rapid taunting you from around the bend. 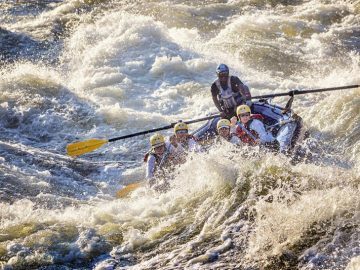 The leaping and frothing of water on the horizon as the river disappears beyond, and that cold shock of whitewater down your neck and up your nose in a way that makes you go back for more. 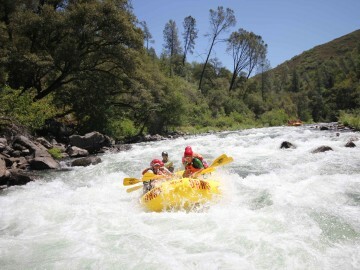 The Tuolumne is a thrill. 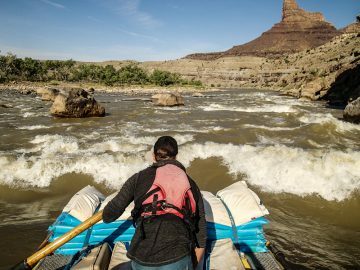 The river and its canyon are the embodiment of what it means to be wild. Since the fire had started, no one had been allowed to enter the area. 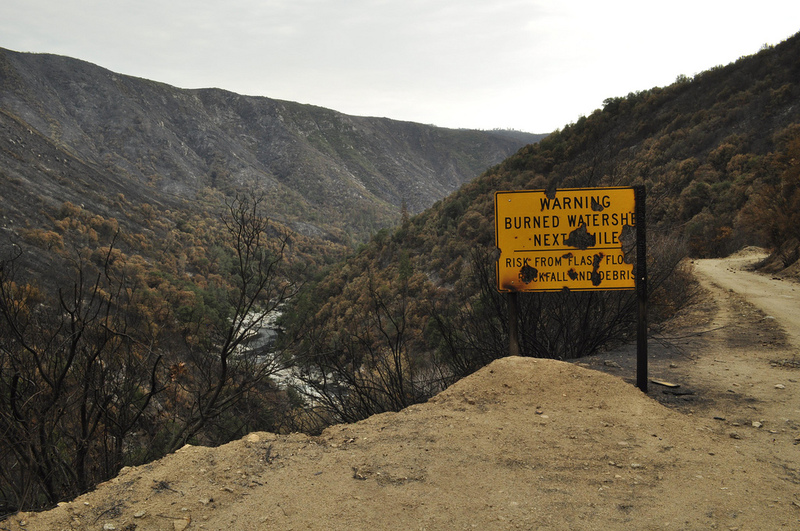 Even after the fire was extinguished, the river canyon remained closed due to the danger of falling trees and landslides. It wasn’t until March 21, 2014 that an exploratory trip began their float to assess the condition of the canyon. The results of the expedition were extraordinary. For the first time, we were able to confirm what we had been guessing at for months. First of all, the canyon wasn’t a total wasteland. Sure, there were areas that had burned, there was visible charring on trees, and a funky sort of ashy debris in the water that made you feel like you were rafting in tea leaves, but not everything was dead. As it turns out, the fire burned through the canyon with mixed intensities. This resulted in a mosaic pattern of living and dead trees, with a few unburned areas in the mix. The greenery we didn’t expect was there in abundance; a myriad of wildflowers and grasses blanketed the hillsides in electric hues. Before seeing the canyon for the first time after the burn, I expected to feel sadness and despair; upon seeing the canyon, I felt hope and inspiration. This canyon was thriving in what I had perceived to be an event of total destruction. In surveying the landscape, I was reminded of why I really love this canyon. When I push off the beach and drift into the current, I’m in it for the experience. 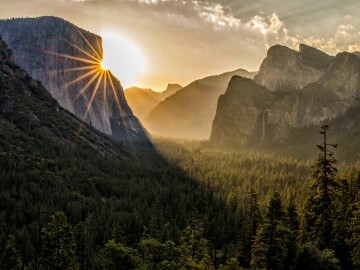 I want to be marveled by nature, to be in awe of something greater than myself. I want to step away from my daily life and be absorbed in something real, something meaningful. Looking at the blackened earth, already disappearing under new growth, it’s clear the Rim Fire was only a rite of passage. 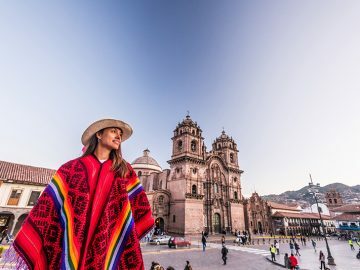 In a place filled with such spectacular beauty and resilience, it seems absurd to think that even a wildfire of this magnitude could rob this place of its essence. 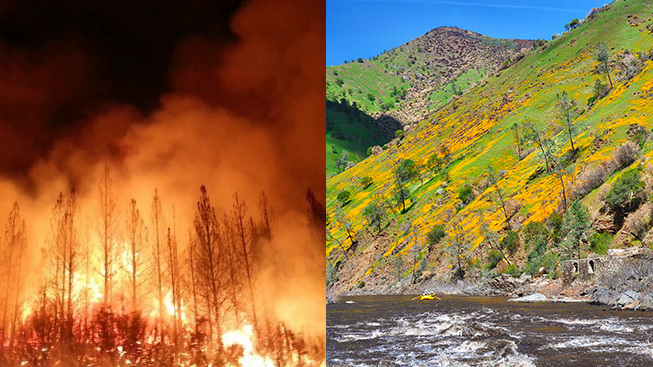 So, was the Tuolumne River canyon ruined by the Rim Fire? Not a chance. The birds still sing. The river still flows. I promise, you’ll still get butterflies before running Clavey Falls and you’ll still sleep like a stone under a billion stars. The sand under your feet will feel just as soft and the tales your guides tell will be just as tall. It’s certain you’ll notice there’s been a fire; but, let me assure you of this: everything we ever loved about this canyon is still there, just like it always was. And if you don’t believe me? 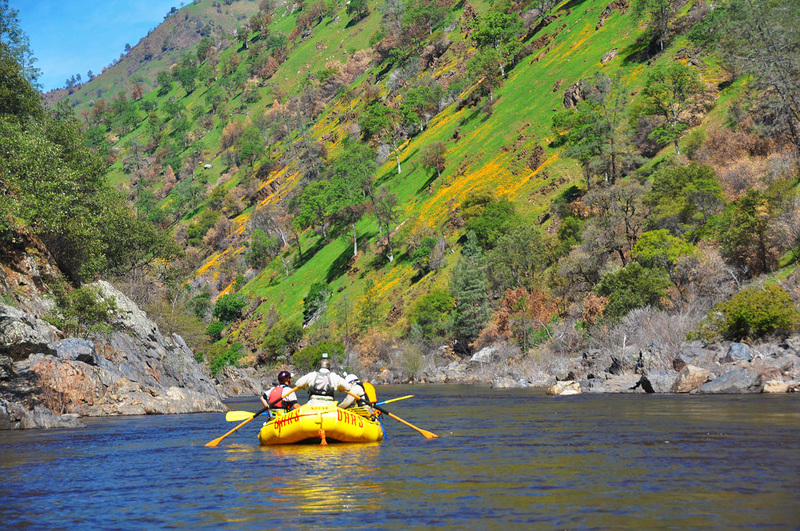 Come join us on the river and decide for yourself.